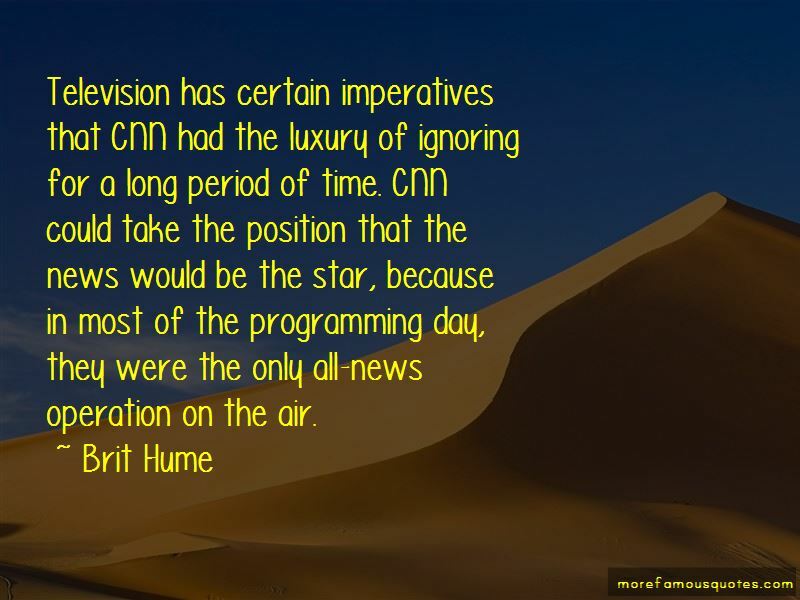 Enjoy the top 47 famous quotes, sayings and quotations by Brit Hume. 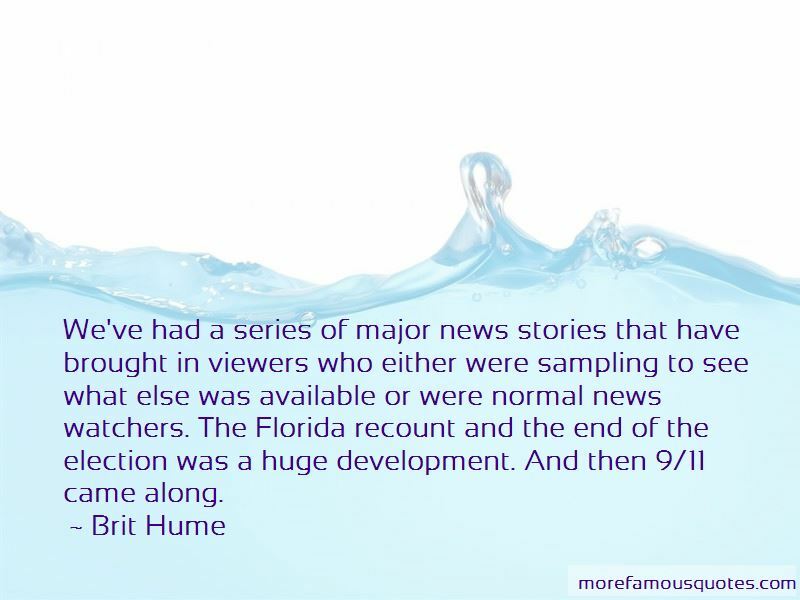 I think that what people want from cable news channels is the sense that if there's hard news, it's going to come up immediately. The month of January, we were number one. Now, this is something we're proud of, because we recognize we're up against a formidable operation there at CNN. What played to what had been a relative weakness for us-this was exploding overseas as well, and we had to scramble to mount some reach and get into places and be competitive on the ground. The Clinton administration hated us, and it was a terrible struggle with them. I think that they felt if they didn't play, they could strangle us in our crib. Ted Cruz has struggled, and Donald Trump, of course, has been the big winner the last two outings. And the polling that we have, some of it is a week old. In fact, I think that's the latest poll suggests that he has a strong lead here. And therefore should be expected to win. It's not unilateral when it's 16 to 3! Can't you count? 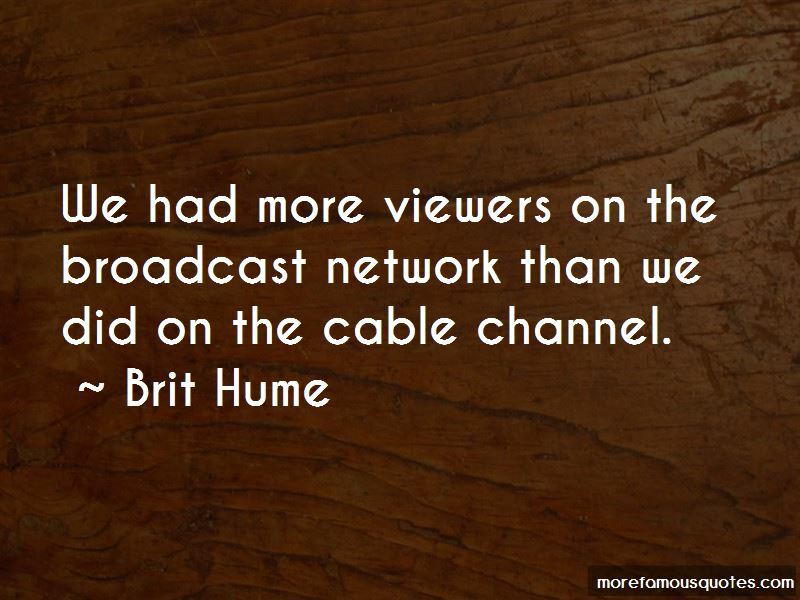 Want to see more pictures of Brit Hume quotes? 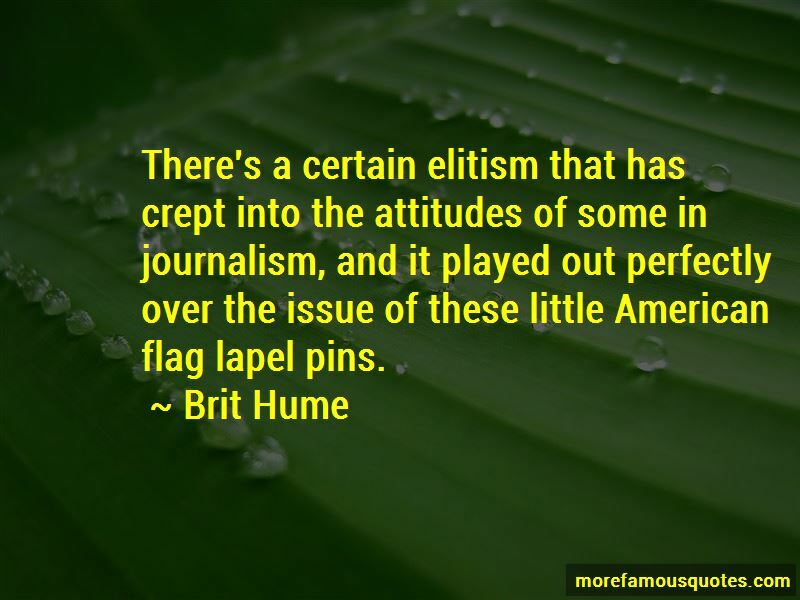 Click on image of Brit Hume quotes to view full size.